Welcome to Hightech Partners ITP. The following terms and conditions are important things that you should know before using or accessing Hightech Partners ITP. Please read them carefully. 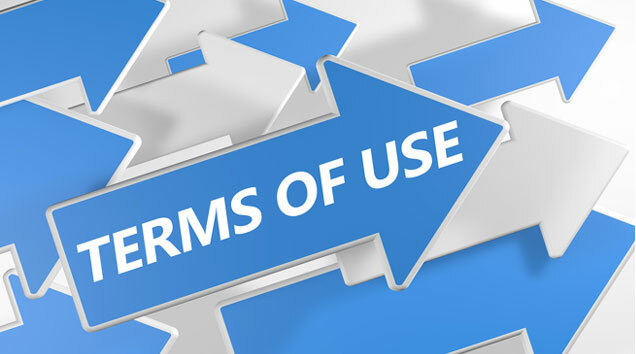 By accessing or using any part of Hightech Partners ITP or any of the products or services offered by or through Hightech Partners ITP, you agree to be bound by the following terms and conditions of use. If you do not wish to be bound by these terms and conditions, you may not access or use Hightech Partners ITP. If these conditions change, you will be notified via email. Users will be required to enter valid contact data. As an Hightech Partners ITP member you will receive number of emails during a 12 months period. It is a direct information mailout and may contain in addition to Hightech Partners ITP content, news and interviews related to the industry from a vendor. Vendor members will receive our monthly vendor newsletter. Registered members of Hightech Partners ITP will also be offered a variety of other email or mailstreams such as ebulletins, newsletters and announcements. You will have the option to remove yourself from these particular mailouts whenever you wish. As part of your individual (Free/Guest and Leader's Club) memberships, there is a mandatory requirement to subscribe such mailout. Unsubscribing from this stream will deactivate your membership and cause inaccessibility to the site. Hightech Partners ITP offer a free memberships program. Members who do not wish to continue and click the opt-out link, will be removed from the free membership, as long as they remain as registered members they have to abide to the present Terms & Conditions of Use of the website and accepting to be registered implies that they have fully read and understand these terms and conditions and that agree to them. There are many products and services on Hightech Partners ITP, including memberships, that have fees or charges associated with them. It is assumed that existing Hightech Partners ITP members, and individuals new to the site, who buy or pay for these services are fully aware of what they are buying/purchasing and that they have read all documentation (product descriptions, advertising, etc.) regarding the product, service, membership, etcetera, to have made that choice. There are no refunds whatsoever for memberships once activity on the site has been established after the purchase of that membership. Products that have been determined to be defective or damaged can be returned to us for a full refund within a reasonable amount of time deemed by one of our sales representatives (via email or documented phone call). The cancellation policy of other products, services, etcetera that appear on Hightech Partners ITP but are offered by other companies or individuals, are the sole responsibility of those companies or individuals. Hightech Partners ITP does not assume any liability of any sort resulting in the purchase of those particular products, services, etcetera and does not endorse the purchase of the same. Hightech Partners ITP is owned and operated by Hightech Partners ITP. Except where otherwise noted, the content of Hightech Partners ITP's web pages that have been created, provided, written and published by Hightech Partners ITP staff, including the design, text, graphics and arrangement thereof, and the software used herein, is the property of and is owned and controlled by Hightech Partners ITP and is the copyrighted material of Hightech Partners ITP or its content providers. ALL RIGHTS ARE RESERVED. No materials from Hightech Partners ITP that have been created, written and published by Hightech Partners ITP staff, may be copied, duplicated, downloaded, reproduced, sold, resold, shown or played in public, republished, uploaded, posted, stored, transmitted or distributed, adapted or changed in any way or otherwise exploited for any commercial purpose that is not expressly permitted by Hightech Partners ITP, except that you may electronically copy and print in hard copy, portions of Hightech Partners ITP for your personal, non-commercial use only. Any other use, reproduction, modification, distribution, transmission, republication, display or performance without the prior written consent of Hightech Partners ITP is strictly prohibited. Unauthorized attempts to upload information or change information are strictly prohibited and may be punishable under the Computer Fraud and Abuse Act of 1986. "Hightech Partners ITP"; all of our own custom page headers, logos, graphics and button icons are service marks, trademarks and/or trade dress of Hightech Partners ITP. All other trademarks, product names and company names or logos cited anywhere on Hightech Partners ITP are the property of their respective owners. Except as expressly provided, nothing contained in these terms and conditions or anywhere on Hightech Partners ITP shall be construed as conferring any license under any intellectual property rights of Hightech Partners ITP or any third party. 4. collect or store personal data about other users of Hightech Partners ITP. While using Hightech Partners ITP you will likely access third party web sites through search results displayed on Hightech Partners ITP and links contained on Hightech Partners ITP. Such third-party web sites are not under the control of Hightech Partners ITP and Hightech Partners ITP is not responsible for the availability of such sites or their contents. Any links provided on Hightech Partners ITP are provided for your interest or convenience only and do not represent or imply any endorsement by Hightech Partners ITP of any such linked site. You acknowledge that the use of such third party web sites is governed by the terms and conditions of use applicable to any such site. HIGHTECH PARTNERS ITP SHALL NOT BE RESPONSIBLE OR LIABLE, DIRECTLY OR INDIRECTLY, FOR THE ACCURACY, CONTENT, TIMELINESS, COMPLETENESS, LEGALITY, RELIABILITY, QUALITY, SUITABILITY OR DECENCY OF ANY INFORMATION, ADVICE, CONTENT, SERVICE, PRODUCT OR MERCHANDISE CONTAINED IN SITES LISTED IN SEARCH RESULTS ON HIGHTECH PARTNERS ITP OR OTHERWISE LINKED TO HIGHTECH PARTNERS ITP. You may order services or merchandise through Hightech Partners ITP. All matters concerning the merchandise and services desired from Seller, including but not limited to purchase terms, payment terms, warranties, guarantees, maintenance and delivery, are solely between you and Seller. You will not consider Hightech Partners ITP as a party to such transactions, whether or not we may have received some form of revenue or other remuneration in connection with the transaction or be liable for any costs or damages arising out of, either directly or indirectly, you or any other person involved or related to the transaction. Hightech Partners ITP enables its members to post content (ie; articles, reviews, blogs, wikis, etc.) and comments on content, products and services (herein known as "Your Content"). Such members are solely responsible for any and all information posted as well as any consequences that may result from "Your Content". In posting your material, you are agreeing that you are the sole creator of that content and you are the owner of that copyright. Hightech Partners ITP is not liable for any damages arising from the use of "Your Content". We have the right to refuse and remove any content uploaded, posted, emailed, reproduced, transmitted or otherwise distributed using Hightech Partners ITP, including any of "Your Content". Hightech Partners ITP Limited may also retain "Your Content" and disclose it (including the contents of your private communications), (a) if required by law, (b) as may be required to prevent or correct any problem with or disruption of the operation of Hightech Partners ITP, (c) in connection with any claim that "Your Content" violates the rights of any third party, (d) to protect itself, its officers, directors and employees, the users of Hightech Partners ITP and the public, or (e) to enforce these terms and conditions. In order to publish your content (ie; comments, articles, news, etcetera), you must agree to the following clauses as pointed out in Hightech Partners ITP's Content Agreement. 1. By providing Your Content through any publicly accessible areas of Hightech Partners ITP or submitting any of Your Content to Hightech Partners ITP, you automatically grant to Hightech Partners ITP a perpetual, royalty free, irrevocable, non-exclusive right and license to use, reproduce, modify, adapt, publish, translate, create derivative works from and distribute and display any of Your Content into any form, medium or technology now known or hereafter developed. -- This agreement does not in any way limit the Author(s) ability to use or publish their content elsewhere and the Author(s) shall retain the copyright. 3. If relevant, the Author(s) will take reasonable care in checking facts and statements and keep all notes and tape recordings made in the course of researching and writing the article. The notes will be made available to Hightech Partners ITP to defend against any legal action or otherwise, and the Author(s) will cooperate with Hightech Partners ITP and its attorneys should the need arise. 5. The Author(s) grant(s) Hightech Partners ITP the right to use the Author's (s') name(s) and likeness in promoting the Content and Hightech Partners ITP. Hightech Partners ITP reserves the right to edit all accepted Content to conform to our style presentation and format, taking care not to change the Author's (s') meaning. 6. The Author(s) indemnifies and agrees to hold Hightech Partners ITP, its parents, subsidiary and affiliated companies and their successors, officers, directors and employees harmless from any damage, cost of expense, including reasonable attorneys fees and costs of settlement, related to any claim, action or proceeding arising out of or in connection with this Agreement and/or the Author's representations or warranties hereunder. By providing Your Content through any publicly accessible areas of Hightech Partners ITP or submitting any of Your Content to Hightech Partners ITP, you warrant that Your Content is not subject to any third party copyright or any other proprietary right and that you have full capacity and authority to make such posting, transmission, distribution or submission. Hightech Partners ITP is providing Hightech Partners ITP on an "AS IS, AS AVAILABLE" basis to users. Hightech Partners ITP is a service to users seeking human resources news and information. You use Hightech Partners ITP at your own risk. Neither Hightech Partners ITP nor any of its officers, directors, shareholders, employees, affiliates, agents, third-party content providers, sponsors, licensors, or the like, makes any representation or warranty or condition, either express or implied, to you (a) that Hightech Partners ITP will be uninterrupted or error-free, (b) that Hightech Partners ITP or the server that makes Hightech Partners ITP available are free of viruses or other harmful components, (c) as to the accuracy, reliability or completeness of results that may be obtained from the use of Hightech Partners ITP or (d) as to the accuracy, content, timeliness, completeness, legality, reliability, quality or suitability of any information, advice, content, service, product or merchandise provided through Hightech Partners ITP. HIGHTECH PARTNERS ITP MAKES AND YOU RECEIVE NO REPRESENTATIONS, WARRANTIES OR CONDITIONS, EXPRESS OR IMPLIED, TO THE EXTENT PERMITTED BY APPLICABLE LAW, WITH RESPECT TO HIGHTECH PARTNERS ITP, ITS CONTENT, ITS MERCHANDISE, ITS SERVICES, ANY DOCUMENTS, INFORMATION, ITEMS OR MATERIALS PROVIDED BY HIGHTECH PARTNERS ITP LIMITED IN CONNECTION WITH THE USE OF HIGHTECH PARTNERS ITP, ANY GOODS OR SERVICES RECEIVED THROUGH OR ADVERTISED ON HIGHTECH PARTNERS ITP OR RECEIVED THROUGH ANY LINKS PROVIDED ON HIGHTECH PARTNERS ITP, ANY INFORMATION OR ADVICE RECEIVED THROUGH HIGHTECH PARTNERS ITP OR ANY LINKS PROVIDED ON HIGHTECH PARTNERS ITP, INCLUDING WITHOUT LIMITATION NO REPRESENTATIONS, WARRANTIES OR CONDITIONS OF MERCHANTABILITY, SUITABILITY, FITNESS FOR A PARTICULAR PURPOSE, YEAR 2000 COMPLIANCE, NON-INFRINGEMENT OF PROPRIETARY RIGHTS OR OTHERWISE. No oral advice or written information given by Hightech Partners ITP or its affiliates, or any of its officers, directors, employees, agents, providers, merchants, sponsors, licensers, or the like, will create a representation, a warranty or condition nor should you rely on any such information or advice. Hightech Partners ITP may make available certain professional information provided by third parties including information relating to law and accounting. Before you use any such professional information made available through Hightech Partners ITP or through any link on Hightech Partners ITP, please re-read the above section entitled "General Disclaimer of Representations and Warranties" and the section below entitled "Limitation of Liability" as those provisions apply to any professional information made available to you. Neither Hightech Partners ITP nor any of its officers, directors, employees, agents, sponsors, licensors, or the like is qualified to provide information or advice in any of these or similar professional fields and does not make any representation or warranty or condition, either express or implied, to you regarding the content, accuracy, completeness, legality, reliability, quality or suitability of any such professional information. Hightech Partners ITP recommends that you seek advice from a qualified professional with respect to any issues or questions that you may have relating to medicine, law, accounting or any other profession. Hightech Partners ITP may make available for downloading certain software and computer programs provided by third parties. Neither Hightech Partners ITP nor any of its officers, directors, shareholders, employees, affiliates, agents, sponsors, licensors, or the like makes any representation or warranty or condition, either express or implied, to you regarding such software. Hightech Partners ITP cannot guarantee that any such software will meet your needs, standards or desired specifications or that such software will be free from viruses or errors. Before downloading any such software or computer programs, please re-read the above section entitled "General Disclaimer of Representations and Warranties" and the section below entitled "Limitation of Liability". Use of such software is subject to the terms and conditions of any end user license agreement that accompanies such software and by using such software you agree to be bound by the terms and conditions of such license. YOU AGREE THAT ANY SOFTWARE, COMPUTER PROGRAMS, INFORMATION, PHOTOGRAPHS, MUSIC, VIDEO, AUDIO, POWEPOINTS, CHARTS, GRAPHS, DATA, OR OTHER MATERIALS OBTAINED ON OR THROUGH HIGHTECH PARTNERS ITP IS DONE AT YOUR OWN RISK AND THAT YOU ARE SOLELY RESPONSIBLE FOR ANY DAMAGES TO YOUR COMPUTER SYSTEM OR OTHER DAMAGES THAT MAY RESULT FROM THE DOWNLOAD OF SUCH MATERIALS. UNDER NO CIRCUMSTANCES WILL HIGHTECH PARTNERS ITP LIMITED OR ANY OF ITS OFFICERS, DIRECTORS, SHAREHOLDERS, EMPLOYEES, AFFILIATES, AGENTS, SPONSORS, LICENSORS, OR ANY OTHER PARTY INVOLVED IN CREATING, PRODUCING, OR DISTRIBUTING HIGHTECH PARTNERS ITP BE LIABLE FOR ANY DIRECT, INDIRECT, INCIDENTAL, SPECIAL, OR CONSEQUENTIAL DAMAGES (INCLUDING BUT NOT LIMITED TO LOSS OF PROFITS, GOODWILL, USE DATA OR OTHER INTANGIBLE LOSSES) THAT RESULT OR ARISE FROM (A) THE USE OF AND RELIANCE ON HIGHTECH PARTNERS ITP, (B) THE INABILITY TO USE HIGHTECH PARTNERS ITP, (C) MISTAKES, OMISSIONS, INTERRUPTIONS, SUSPENSION, TERMINATION, DELETION OF FILES OR EMAIL, ERRORS, DEFECTS, VIRUSES, DELAYS IN OPERATION OR TRANSMISSION, OR ANY FAILURE OF PERFORMANCE WITH RESPECT TO HIGHTECH PARTNERS ITP, INCLUDING WITHOUT LIMITATION THOSE THAT RESULT FROM ACTS OF GOD, COMMUNICATIONS FAILURE, THEFT, DESTRUCTION, OR UNAUTHORIZED ACCESS TO HIGHTECH PARTNERS ITP'S RECORDS, PROGRAMS, OR SERVICES, (D) MERCHANDISE, PRODUCTS, OR SERVICES RECEIVED THROUGH OR ADVERTISED ON HIGHTECH PARTNERS ITP AND MERCHANDISE, PRODUCTS, OR SERVICES RECEIVED THROUGH OR ADVERTISED ON ANY LINKS PROVIDED ON HIGHTECH PARTNERS ITP, (E) INFORMATION OR ADVICE RECEIVED THROUGH OR ADVERTISED ON HIGHTECH PARTNERS ITP AND INFORMATION OR ADVICE RECEIVED THROUGH OR ADVERTISED ON ANY LINKS PROVIDED ON HIGHTECH PARTNERS ITP AND (F) ANY INFORMATION, DATA, TEXT, MESSAGES AND OTHER MATERIALS THAT YOU EMAIL, POST, UPLOAD, REPRODUCE, TRANSMIT OR OTHERWISE DISTRIBUTE USING HIGHTECH PARTNERS ITP. You agree defend, indemnify and hold harmless Hightech Partners ITP and its affiliate and related companies, officers, directors, shareholders and employees from any and all claims, liabilities, damages, costs and expenses, including reasonable legal fees, arising from (a) your use of Hightech Partners ITP or the internet, (b) the uploading, posting, emailing, reproducing, transmitting or otherwise distributing of any information, data, text, software, music, sound, photographs, graphics, video messages or other materials by you or any users of any account that you may have with Hightech Partners ITP, or (c) the breach of any of these terms and conditions by you or any users of any account that you may have with Hightech Partners ITP. These terms and conditions shall be governed by and construed in accordance with the laws of Belgium and Switzerland. It can however be accessed from other places around the world. Although these places may have different laws from those of the above countries, by accessing Hightech Partners ITP you agree that the laws of Belgium and Switzerland, without regard to rules relating to conflict of laws, will apply to all matters relating to your use of Hightech Partners ITP. You and Hightech Partners ITP also agree to submit to the non-exclusive jurisdiction of the courts of Belgium and Switzerland, with respect to such matters. Users of Hightech Partners ITP accessing it from places outside of Belgium and Switzerland acknowledge that they do so voluntarily and are responsible for complying with local laws. These terms and conditions and any and all documents specifically referenced herein, including our content agreement, constitute the entire agreement between you and Hightech Partners ITP with respect to the subject matter hereof. No failure on the part of Hightech Partners ITP to exercise and no delay in exercising any right under these terms and conditions shall operate as a waiver of such right. If any provision contained in these terms and conditions is determined by a court of competent jurisdiction to be illegal, invalid or otherwise unenforceable, that provision shall be severed from these terms and conditions and the remaining provisions shall continue in full force and effect.